Day 33. 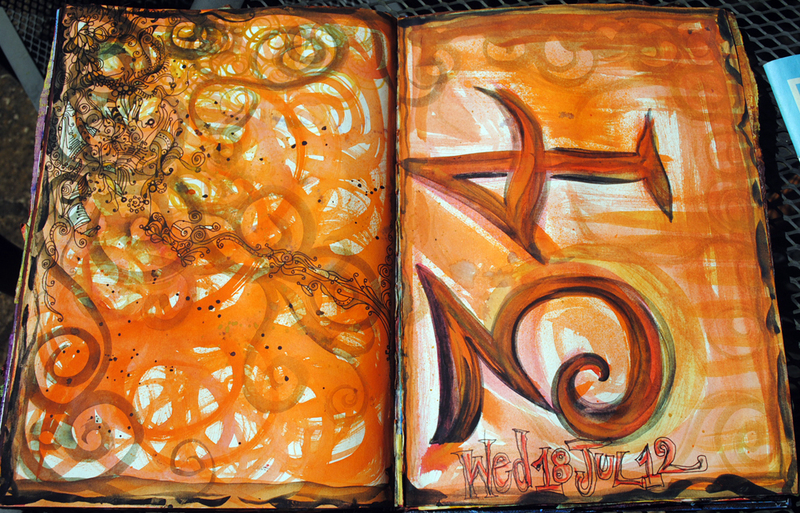 Water colors and inks, I like the dreamily muted colors, and again the upside/downside number thing. Day 34 Doodles run free. This is the kinda page that I could keep on adding to but think I’ll leave it here for now. Day 35. This is the kinda page that I did keep on adding to! Starting with that stencil again then with layers and layers of cut out scraps in a similar wavy spiral way. 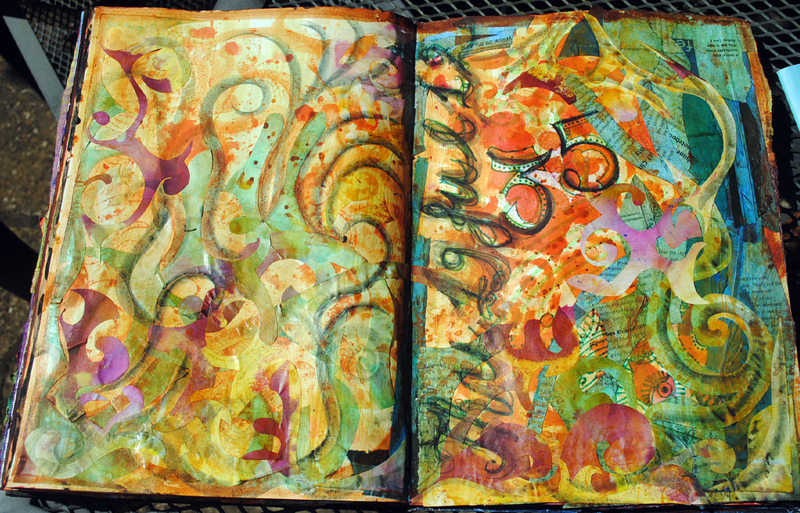 Day 36 is a turning point, toward the original idea that each page would contain something of the feel of that day. This day I spent up in London with my friend, and bits and bobs from the day nestle amongst the usual doodles and collage. 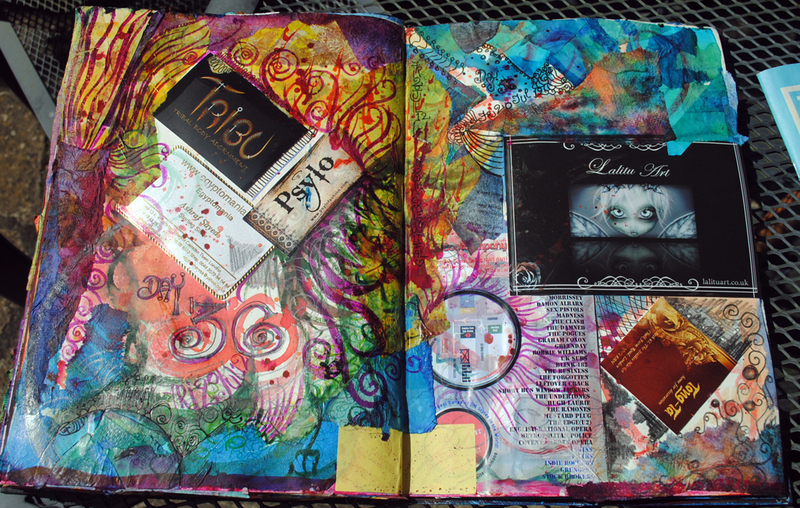 Posted on Wednesday, July 25th, 2012 8:11 pm by MixyPosted in a page a day, UncategorizedTagged collage, cut out, daily, daily sketchbook project, design exercises, doodles, journal, memories, mixed media, numbers, page a day, sketchbook. 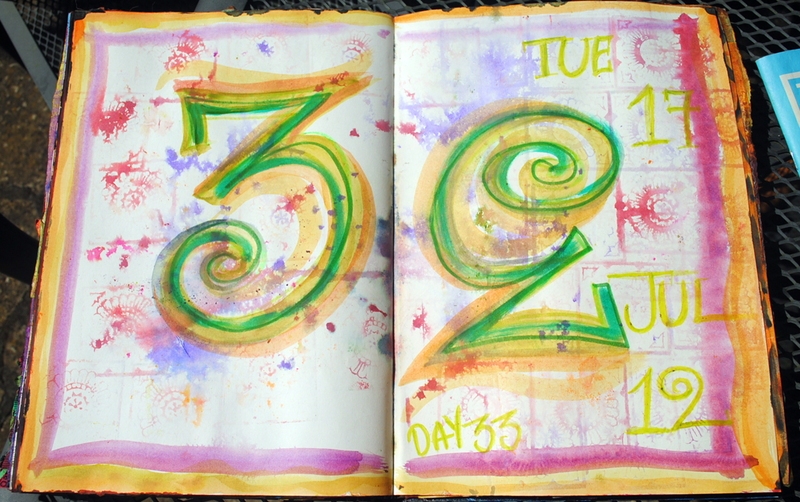 I love the richness of Day 35 and the blues in 36! There is a feeling of Delaunay or someone around that time. So, we will wait and see as the next one opens…. Yay! New book officially begins today! A trip to the art store is in today’s plan and this evening will be Page One! !